Fall is in the air! Here's an update on whats been going on at BeConnected! Every year we ask members of the BeConnected community to let us know how we are doing through our satisfaction surveys. We value your feedback and it helps us to know what you would like us to improve on, as well as what you would like us to continue doing. 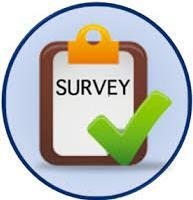 If you have not already done so, please take a minute to fill out our short survey. Thank you! Despite some unpredictable weather we had a great turn out at our annual OneDay event. There was a BBQ, face painting, a marketplace, inclusive activities, and a fantastic stage lineup. 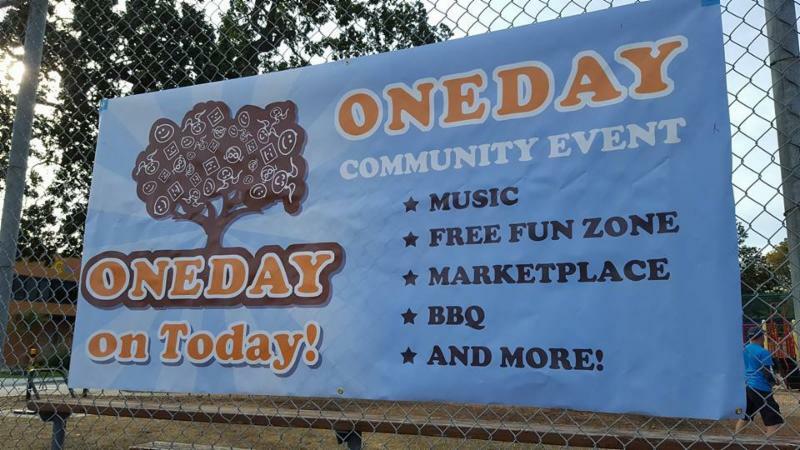 We are also very excited to announce that next September OneDay will be celebrating its 10 year anniversary! 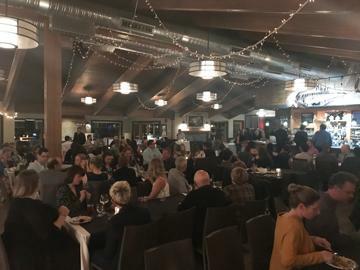 BeConnected employee and contractors had a blast at our annual Employee and Service Provider Appreciation Gala. 21 individuals received years of service awards ranging from 5 to 25 years and a very special mention to Sandy Leroux who has retired after 29 years of dedicated service! 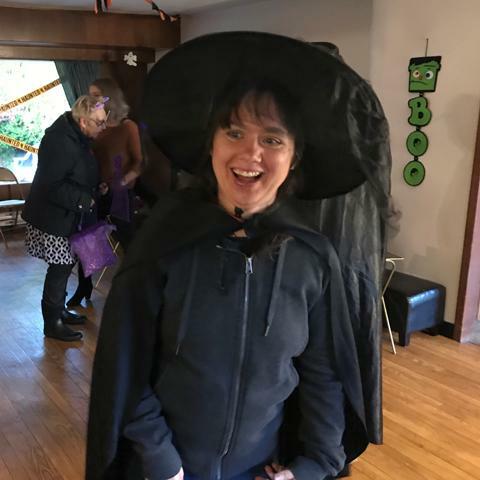 We had a spooktacular time at our annual Halloween party! We had a wide range of costumes this year but when the Halloween candy came out, everyone was a goblin! Left: Jenny having fun at the Halloween Party! Mark your calendar! We have several exciting events coming up that you won't want to miss out on! Join us in celebrating International Day of Persons with Disabilities. 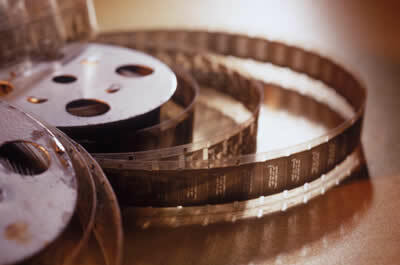 To celebrate we will once again be co-hosting a film festival showcasing short films by or about persons with disabilities. Check out this year's movie trailer and poster! Save the Date! Our Annual Friends and Family Holiday Lunch is a chance for the BeConnected family to gather for a fun afternoon filled with music, dancing, a festive lunch, and a visit with Santa! Note: If children under the age of 10 are attending, please indicate their age(s) in the RSVP. View the full poster with more information here. The 8th annual BeCommunity Art Show will take place in the month of January at the Spiral Cafe. 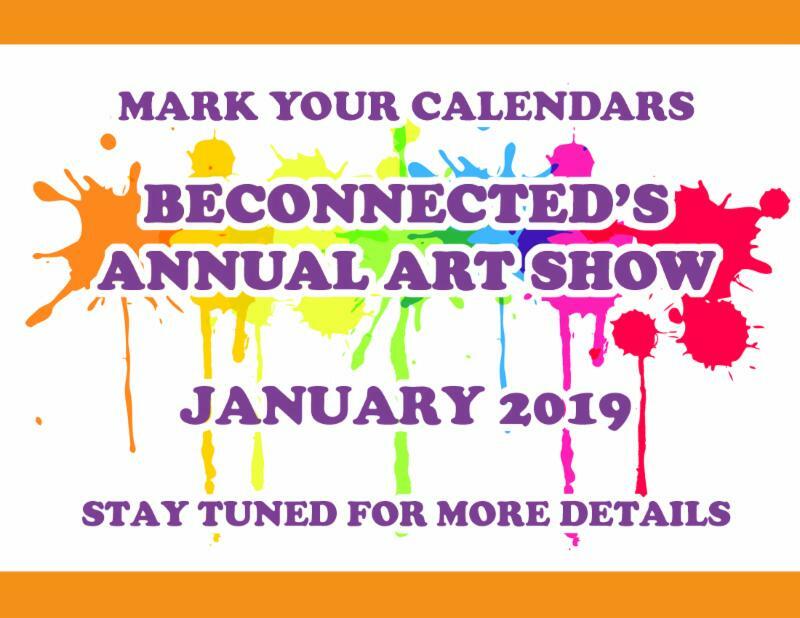 Visit the cafe to take in the fabulous work created by individuals in the BeConnected family, and maybe even take home a piece! 100% of the purchase price goes back to the artist. Want your piece in the BeCommunity Art Show? Submit your piece to our Head Office by Dec. 28th 2018. Please include your name and the name of the piece. 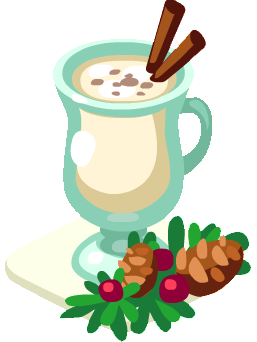 One of our favourite events is our Annual Nog and Cheer! The Nog and Cheer is a gathering for families at Head Office. It provides the opportunity to meet families and new members of the leadership team, review the past year, and talk about our plans for 2019. 2018was a big year for BeConnected! We moved into our brand new office, successfully achieved a 3 year accreditation, and much more! We hope you can join us! Please RSVP to Kristen (kkay@beconsupport.ca) if you plan on attending. 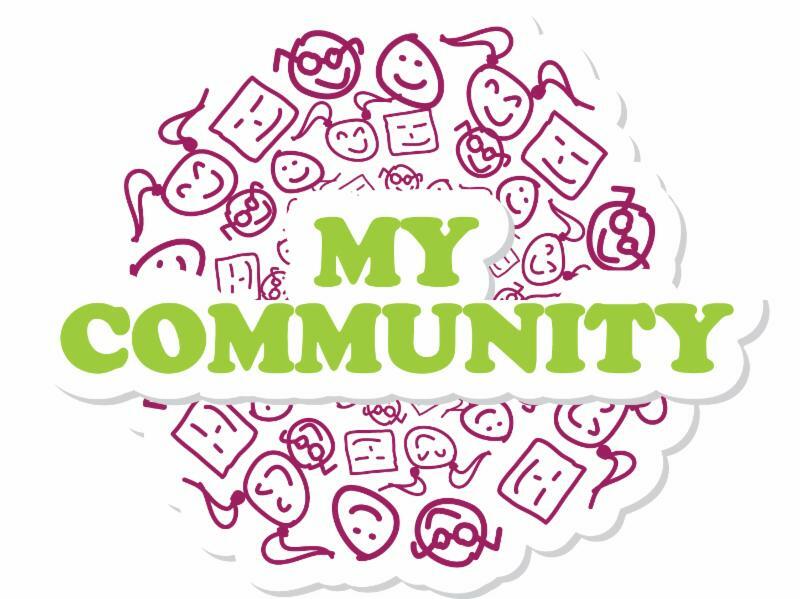 My Community is a conference developed by self-advocates and is held every 3 years. Self-advocates from across the South Island are invited to learn new skills, network, and have fun at this one day conference in Victoria. 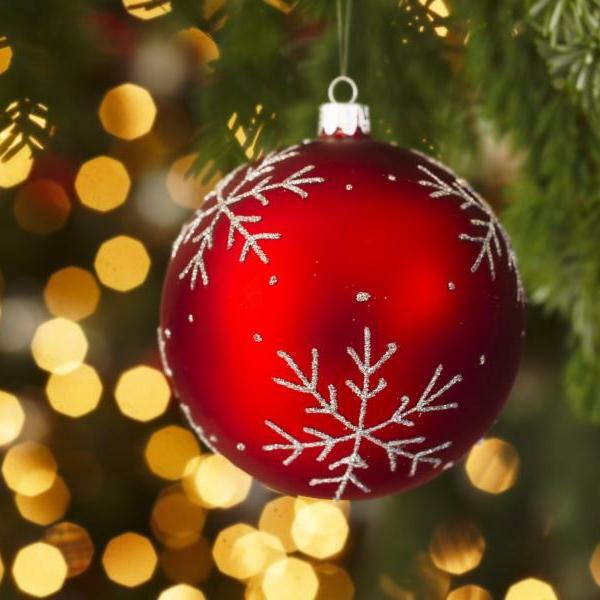 A few years ago, a committee was formed to think about who the BeConnected community could help during the Christmas Season. As there is no shortage of those in need, the Spirit of Community & Kindness (SOCKs) Committee decided to help a group of people who we see a lot of, but often overlook: The men, women, and youth living on the streets of our city. We are collecting wool socks and other health and comfort items that people may need such as gift cards (Tim Horton’s), snacks (candy, gum, and granola bars), lighters, hand warmers, lip balm, and lotion. Our goal is to distribute 50 SOCKs to the Rock Bay Landing Homeless Shelter. Please bring donations to any BeConnected program or our Head Office by Friday, December 7th. Medical Dental (CMD) pilot project to provide dental coverage for recipients of disability assistance and income assistance who require essential dental treatment to address an urgent or severe medical need. 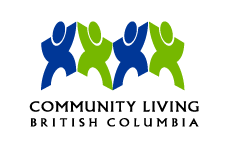 Find out more information from the BC Dental Association. CLBC is taking steps to improve the way people enter CLBC supports and funded services at age 19, or later in life. Each workshop is led by an individual receiving CLBC supports, a family memeber, and a CLBC staff member. The 4 workshops are: Getting Started, Community Connections, Planning Choices, and The "Real Deal". Call your nearest CLBC office to register or find out more information on CLBC's Website. 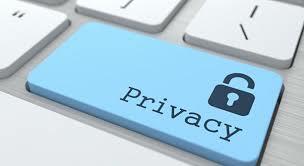 CLBC and MCFD have recently released an online Privacy and Information Management course which is required to be completed by all personnel (employers, manage rs, administration, and contractors) by March 2019. The training provides an introduction to BeConnected personnel’s roles and responsibilities in handling personal and confidential information in a secure and privacy-enhanced manner. All stakeholders are encouraged to review CLBC’s privacy trainin g for personnel who provide support to CLBC-eligible individuals in BC. Did You Know?? BeConnected Contractors have access to training and other resources through our website! Visit Resources for Contractors under the Work with Us tab to find links to CLBC training modules, BeConnected training videos, and more! Introducing the newest addition to our social media portfolio - our Instagram account!  Follow us at beconnectedss! 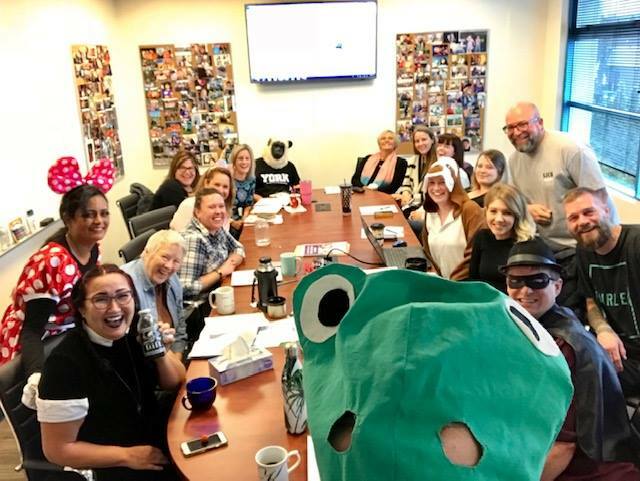 Making meetings on Halloween fun with the BSS leadership team!